For Solvay, 2018 was a year of extensive transformation and growth. We are now ready to unleash our full potential. Our Annual Integrated Report explains how. It also reflects our progress on an integrated management journey that began six years ago. Our Annual Integrated Report explains how we are completing the ongoing transformation of our portfolio to deliver sustainable solutions created to play their part in meeting the key challenges of caring for our planet. How we continue to deliver through an ever-sharper focus on our customers, through innovation, through collaboration with all our stakeholders to create more sustainable value for them. How in 2018, we have worked to shape an organization and a culture to support a Solvay that is now ready to deliver growth as an advanced materials and specialty chemicals company. 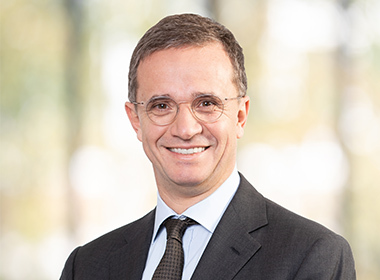 Jean-Pierre Clamadieu has substantially transformed the Group since 2011 and initiated the change in its organization and culture. His successor, Ilham Kadri, will begin a new chapter in this company’s history, building on the potential of its portfolio and its employees, and taking it to the next level. We are convinced that collaboration makes a real difference and we are continuing to progress in building closer relationships with our stakeholders. In this year’s report, we highlight how much we care about collaboration at Solvay, by sharing direct conversations between stakeholders and members of our Executive Committee on a number of central topics. This too is part of delivering on our commitments. Solvay’s third Annual Integrated Report reflects our progress on an integrated management journey that began in 2012 when the Group introduced an integrated thinking approach to strengthen the connection between its businesses, sustainability and finance. Since then, our business and product portfolio decisions have been made with both economic value creation and sustainability in mind. Once again, this report is based on the guiding principles and content elements of Integrated Reporting, as established by the International Integrated Reporting Council (IIRC). The report details the Group’s new, streamlined business model. It also highlights stakeholder engagement, sharing the outcomes of these interactions. Links in the Understanding Solvay section lead to the Management Report which provides a more detailed analysis of key topics, including a focus on high materiality issues. Information on the materiality assessment process and other reporting guidelines are illustrated in our Extra-financial statements, in the “basis of preparation” and “materiality analysis” sections. From day one, the Board of Directors has supported the Group’s integrated management approach, which is fully in line with Solvay’s values and culture. All the Group’s Governance bodies – the ExCom, the CEO and the Board – were involved in preparing, reviewing and approving this Annual Integrated Report, which complies with Belgian legislation and governance code, the 2014/95/EU directive on non-financial reporting, IFRS financial reporting rules and <IR> guiding principles and content elements. Integrated thinking at Solvay is not about compliance, it is about the way we are doing business every day. Integrated reporting is a highly demanding approach that adds transparency and, for us, it is becoming the new standard. The Integrated Thinking Award we received in 2018 from the Institut du Capitalisme Responsable is a recognition of our progress. We still have more to do. The 2018 Annual Integrated Report builds on last year’s report, and integrates feedback from our stakeholders, including several recognized bodies such as the Global Reporting Initiative (GRI) and the World Business Council for Sustainable Development (WBCSD). This year, for the first time, we also brought together a panel of employees and asked for their feedback on the report, with the aim of making it clearer and more reader-friendly, and meeting their expectations in terms of content. It is aligned with GRI Standards and the Recommendations of the Task Force on Climate-related Financial Disclosures (TCFD). Its contents also serve as a progress report on implementation of the ten principles of the UN Global Compact and the Sustainable Development Goals (SDGs).